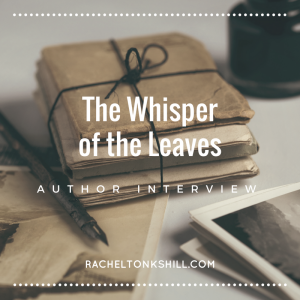 In preparation for the the release of The Whisper of the Leaves, I sat down with my friend Jay and Sam of Splendiferous Films to chat a little about the book, Bazrad, and writing in general. Thanks to them for their time. 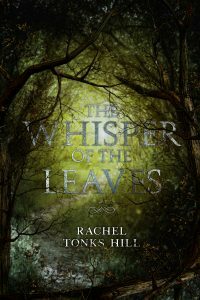 What came first for The Whisper of the leaves, the characters or the plot? Condescending dwarf cleric from an underground city who believes trees can speak to them and them alone. I wrote a 1000 word story based on that prompt and immediately realised that wasn’t enough. Bazrad needed a longer story in which to properly stretch herself. As I was writing the story just kept getting longer and longer until I realised that what Bazrad needed was a short novel. The Whisper of the Leaves is the book that came out of that. Are all the elves in the world genderless? Yes. I started thinking of the elves as being agender right from the get go. It’s a bit of a fantasy cliché to have elves be kind of androgynous so I figured why not go all the way? I was already playing with gender presentation and stereotypes by giving Bazrad a beard and having the number of braids in it indicate her gender. And it kind of makes sense to me that people a long lived as elves traditionally are in fantasy would have little use for concepts like gender. How did you decide on they/them/their pronouns? A few of my friends use they/them pronouns and I’ve found a lot of people struggle with the idea of it. People seem to think using they isn’t grammatically correct, but it is, and has actually been in use for a long time. And even if it hadn’t, people are using it now. Grammar changes to keep up with the requirements of language. So yeah, I mostly chose it to help my friends out. One of the things I want to do with my writing is make a difference, and if stories like this can help make more people aware of singular they as a thing then I want to do that. And it just kind of felt right for my elves. What fantasy books inspired you to write your own? It’s the most cliché answer in the world but Lord of the Rings. I cannot underestimate how much that book changed my life. Lord of the Rings is the book that got me into sci-fi and fantasy, but more importantly was what got me into fan-fiction. Fan-fiction sometimes gets a bad rep but I believe it’s super important, especially as a way for fledgling writers to hone their skills. I wouldn’t be the writer I am today without it. I might not even be a writer at all. More recently I’ve been super inspired by the fantasy work of N.K. Jemisin, especially her novels The Hundred Thousand Kingdoms and The Fifth Season. Her world-building is just astonishing and she effortlessly showcases how excited fantasy can be when you step outside the traditional white dude driven stories. Her two Hugo awards for Best Novel were very well deserved. Were there any particular aspects of world-building that gave you trouble? Not really. My approach to world-building, at least for this novel, was to only build what was important to the characters. I tend to build my worlds quite lean, only fleshing out what I absolutely have to. The reason for this is that I think a lot of people get bogged down in drawing up their world and never get round to telling any stories in it. I know that’s happened to me a few times. This way I get to discover my world as my readers do, and I find that quite exciting. Every writer has their preferred set up for optimal writing, what’s yours? Minimising distractions is absolutely crucial for getting writing done, and my set up reflects this. Currently I’m writing on a Linux computer that’s not hooked up to the internet so I’m not tempted to check my emails every five minutes. And as I said in the post on writing more with less stress I prefer to use minimalistic writing apps. Something that takes up the whole screen with as few bells and whistles as possible. Other than that I like to listen to music. Just put my headphones on and go. What’s your favourite character interaction to write? Writing interactions between characters who are a little antagonistic with each other is always fun. I definitely had a great time writing conversations between Bazrad and Arcaena in The Whisper of the Leaves. For some reason I find it much more enjoyable to write characters who just rub each other up the wrong way rather than characters who outright hate each other. I think there’s more room for the characters to grow that way, to come to a point of agreement eventually. Maybe I like writing interactions like that because that’s what my friendships look like! And any interaction where I can inject some sarcasm is always fun. Sarcasm is my life blood. Which character would you say you’re most similar to? Like most writers I guess I put a little bit of myself into every character I write. The character I’m most similar to is probably Bazrad herself. She’s grumpy, snarky and doubts herself a lot but she tries her best to help people out. There’s a lot of things about the journey Bazrad goes on in The Whisper of the Leaves that echo bits of my own life and my own journey. Do you have any idea who you would want to play your characters in a movie, and did you have this in mind while writing? Honestly I haven’t thought about adaptations for The Whisper of the Leaves at all! I definitely didn’t have any particular actor in mind while writing these characters. I guess if I were to cast this story the most important thing to me would be to cast an actual little person as Bazrad instead of using CGI on a taller actor. There are so few opportunities for actors of short stature that I think it’s super important to make sure they’re not denied the chance to play characters like Bazrad. As far as casting the elves goes, I don’t mind as long as they’re not all played by men just because I’ve described them as androgynous and agender. There’s a tendency to default to casting men when there’s any gender ambiguity and it defeats the point of having a diversity of genders in the story at all. If a few agender actors could be cast that would be awesome. And in case anyone is interested, Splendiferous Films has first refusal on optioning the rights for this story. I don’t remember the last book that made me cry, but I do remember very clearly the last three books I read that made me scream into a pillow when I got to the end in a “you can’t leave it there!” sort of way. It’s interesting to me that two of those three are the first book of a trilogy, and the other is the latest installment in an ongoing series. There’s a lot I can learn from these writers when it comes to making readers desperate for more. The Whisper of the Leaves is Daughter of Duri Book 1, where will she be going next time? A big part of writing this story for me was putting Bazrad in a situation that made her uncomfortable. In the next novel it’s going to be the elves’ turn to be uncomfortable as we go underground to visit some of the dwarf cities. Taking Bazrad home as it were will also give me a chance to dive further into her back story. Will we learn why Bazrad was exiled? Your first book was urban fantasy, this one is high fantasy. do you plan to tackle any other genres in the future? Writing the sequel to On The Rise is a big priority for me so I’m sticking with the urban fantasy for a bit, but I do have a stand-alone sci-fi novel in progress as well. Horror will probably make an appearance at some point; I seem to gravitate towards it eventually. There’s also a straight up romance story that’s been on the back burner that might see the light of day at some point.